Extra Parking Available at church parking lot. 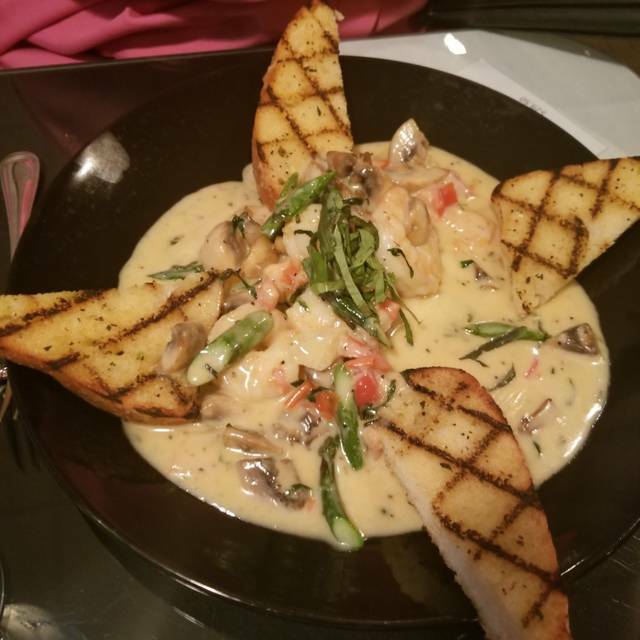 Mangia Qui Italian Bistro in Virginia Beach, VA wants to become your go-to spot for a fun atmosphere and delicious Italian food. You know, that place in the neighborhood where locals gather to kick back and take a night off from cooking. If you can’t hop a plane to dine at a trattoria in Italy, the next best place is right here. We truly believe we’ve created something with this restaurant that you can’t get anywhere else in the area. From the pride we take in our kitchen preparing fresh to order authentic dishes like homemade lasagna and tiramisu, to our dedicated wait staff providing friendly and personalized service. Mangia Qui is always a treat. The food was freshly prepared, and the pace of the meal was very relaxed (but not slow even though it was busy). 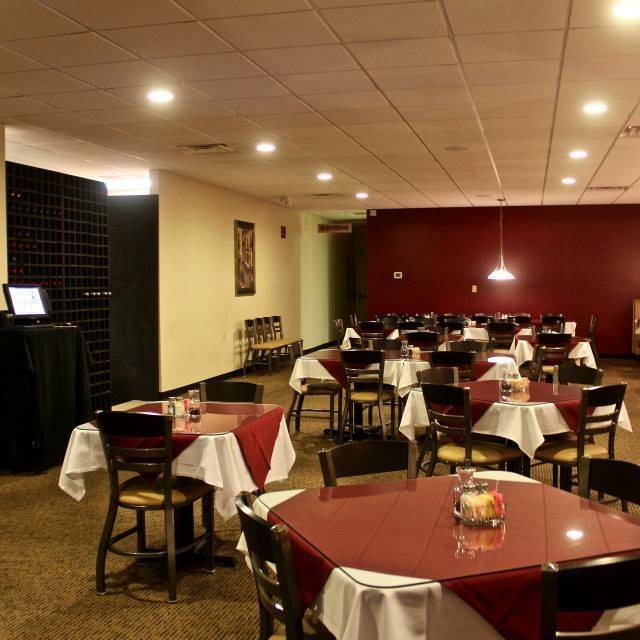 One of the best Italian restaurants in Hampton Roads. We eat there at least 1x per month. The chef was very, very slow preparing our food! We felt like we were never going to be served. This was not a specialized , hard-to-prepare food item but one that was on the menu and a specialty of the house. The waitress's apologizes still didn't quiet down the stomach growls we were experiencing from the long wait. Incredible food, traditional and untraditional Italian. Great service. Great bar with original cocktails. Nice wine list. Price is right - very affordable. Drinks, Main Course, Dessert, After dinner drinks and reasonably priced. This was my second time eating at Mangia Qui with several friends who are somewhat "picky" about food. Everyone thought it was great. The staff were very good about addressing allergies and food preferences/substitutions. Would highly recommend. The waiter was very helpful. The food was delicious and cooked perfectly. our waiter was so informative in helping us make that decision he was very knowledgeable of their extensive menu. We are definitely going back! First visit in several months and I was disappointed in overcooked, tepid pasta dish. Mangia Qui had been a "go to" for authentic Italian. Restaurant was also nearly empty. Is this a sign? Had a wonderful "late Mother's Day" dinner. Rob did a wonderful job of taking care us, his pacing, fun attitude, and professionalism was a highlight. Great recommendations on dishes. Would also like to compliment the sommelier, great pairing with my dish. 10/10 will return, no question. 2nd time to this restaurant - 1st time was better. The waitress forgot appetizer plates; missing two sets of silverware that she did not notice; food this time was 'okay'....nothing to speak out about....average. Our server, Austin, did an outstanding job catering to a group of 8 ladies. He was attentive, personable and catered to our individual needs. Several had not eaten here before and all said a definite come back to place. Food is always good and fresh. Donah was friendly and attentive. We'll be back. My first trip here but not my last. Our waitress was superb, very knowledgeable about the dishes. Everyone was great And how nice that management came to the table to make sure we were satisfied with everything. Oh and not incidentally the food was excellent!! Service and food were outstanding! Will definitely be enjoying again. Visited for the first time last week. We had a wonderful experience. The food was excellent, my wife is Italian and loved the food. The service was crisp and friendly. The decor is simple but pleasant enough. Value was great. Not my first time here. Food is hot and fresh. Service is always first rate. Nobody should ever leave hungry. Looks like a Pizza joint from the outside - inside a wonderful atmosphere and fabulous food! Great food. Attentive service. This is becoming one of our favorite restaurants. Food and service were amazing as always. The kiwi hard italian soda was delicious and the chef's special Valentine's menu was full of delightful selections. Excellent meal and service each time I go here!! Highly recommended! The food is amazing and the service is top notch. Can’t wait to go back! always had good food and service but this night was missing both . disappointed in the small Greek salad . wasn't enough for one person. ordered bianco pizza and delivered something totally different with red sauce and no mozzarella. our waiter said it was what we ordered but over cooked. finally manager came over asked how our pizza was.. didn't seem to know about the problem. had to make a new pizza . while the couple with us had to eat their dinner while we waited Confusing. maybe an off night. 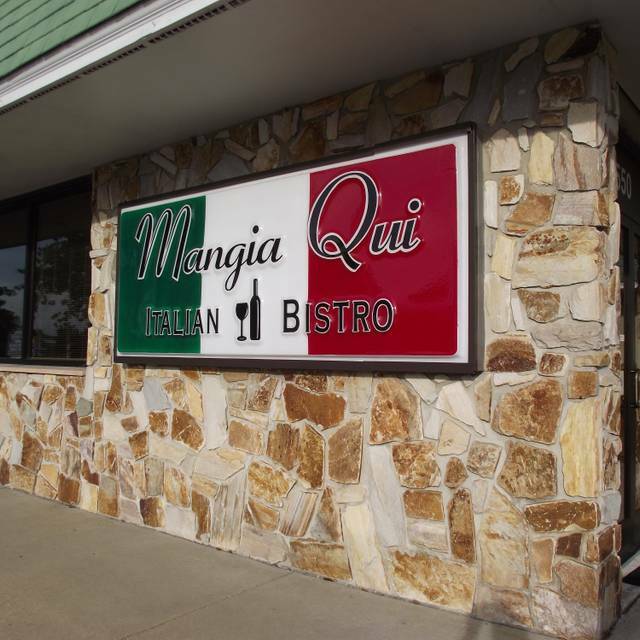 we'll give them another try ..
We have enjoyed the delicious meals at Mangia Qui since it opened. The wait staff is always helpful. They never hover and give customers time to enjoy conversation. The food is outstanding! I have gone with groups - relatives and coworkers - or a quiet meal. The ladies and I do a dinner once a month and the last two dinners have been there since we live the food , service and just the entire experience!!! Excellently prepared fresh ingredient Italian. We are fond of Wednesday pizza and wine night. Pizza is thin crust, homemade everything and delicious. Wine pairings are superb. Staff attentive and knowledgeable. If Wednesday, strongly recommend reservations. The environment was awesome. What I requested when I made reservation were met. Awesome service, food camw out quick and it was delicious. Great food! Great menu choices. Our server was awesome. My 2nd visit. Not my last. The food is really delicious! Their house Cianti is a good pairing to the Italian dishes. It was absolutely amazing as usual! Best Italian I've had and I've had authentic italian. Decent sized portions, quality Italian food. Will frequent often. We saw this place in The Hampton Roads Show a while back and have been wanting to try it out. It did not disappoint. 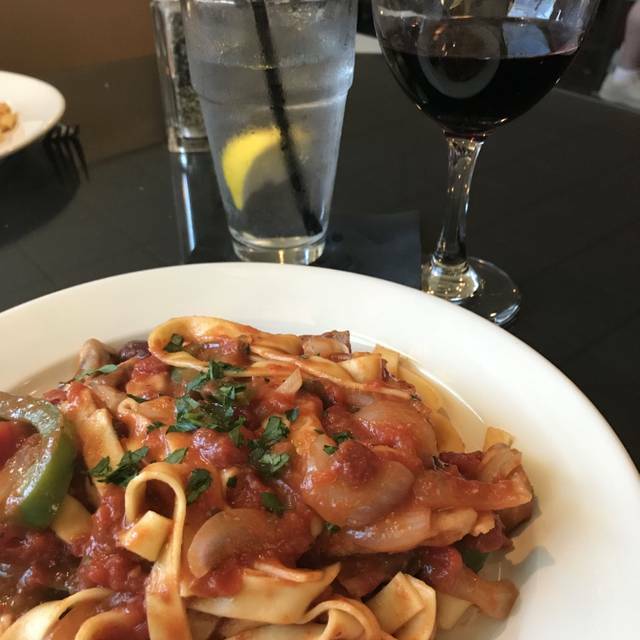 The service was outstanding and the food was some of the best Italian and pizza we have had in the area. We will definitely be back soon. We were treated graciously with a superb waitress who accommodated all eating desires. The food was generous....but the appetizers hit the spot. 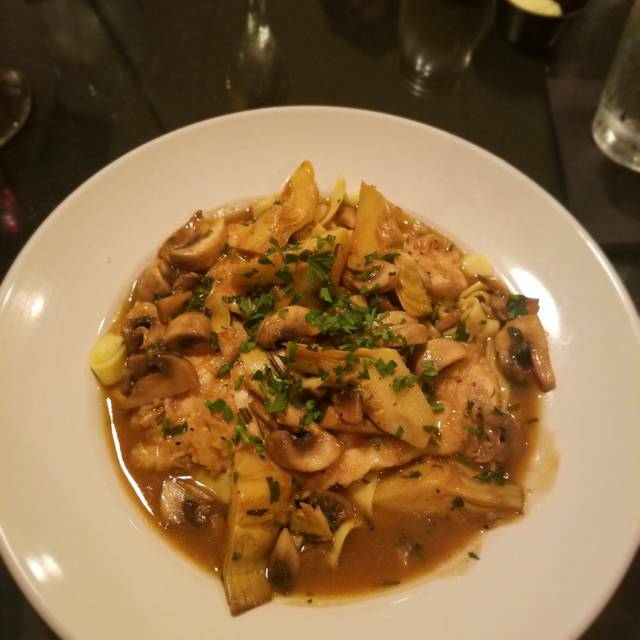 From the butter on the bread to the main entreé, Mangia Qui Italian Bistro makes all the food on your table in the same building that you dine in. Each familiar Italian dish is surprisingly new and delicious. Worth the trip back time-and-time again.